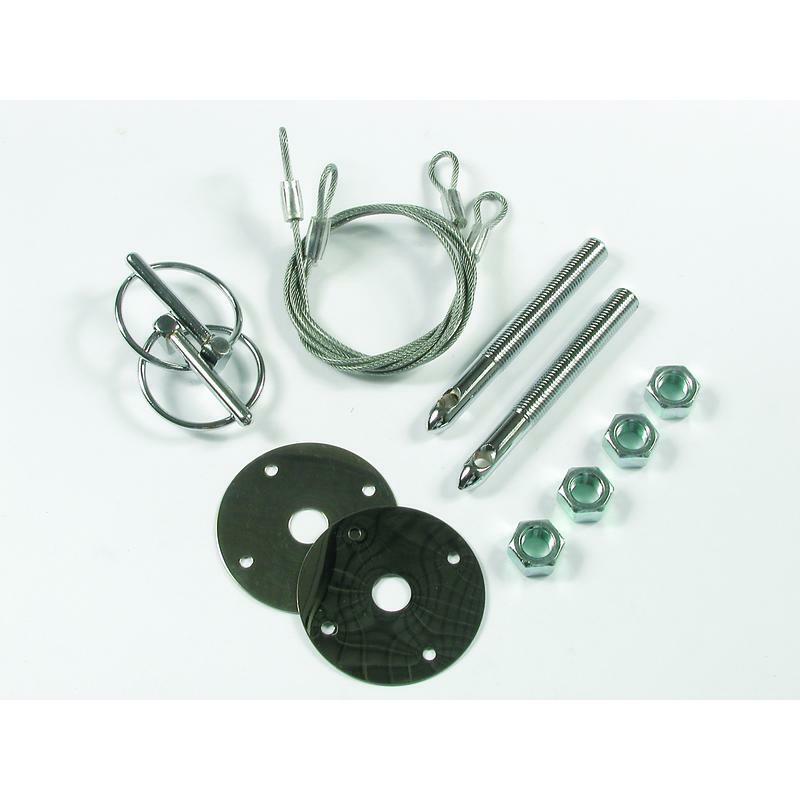 This high quality Chrome plated steel hood pin kit is perfect for all your high performance street, drag an oval track applications. The kit has the lanyards to prevent loss of the safety pins. The 2-1/2 in scuff plates prevent scratching.